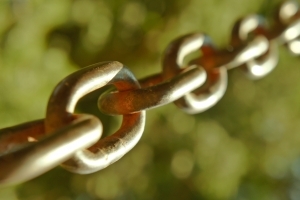 What do you think are the strongest links in your chain? What activities provide you with energy? Research shows that often when we engage our strengths, our energy increases, especially when we’re doing something that we enjoy. Glad that you are also doing well with the current planetary energy. Mars in Virgo should be energizing. I have Uranus conjunct my Aries Ascendant now and it is also exactly square my natal Mars. Even though I am a laid back Taurus, I must admit I do feel more wired now. I also have Pluto sitting on my Mars. At least Jupiter is in my Sun sign and actually exactly on my Mercury today and one degree separating from my Sun. I have been doing a lot of “big thinking” this week about my life.